The recently released MilViz F-15E Strike Eagle for FSX is now also available to purchase at SimMarket. - Highly detailed Pilots Operating Handbook: includes all performance charts and figures. - High quality sound set recorded from a real F-15E. - Flight dynamics tested and tuned by a real pilots. The aircraft flies just like its real world counterpart! - Aircraft features an exterior model manager that enables you to load different weapons and fuel tanks. - Ability to hide the stick in 3D VC enabling the pilot to access certain switches normally obscured from view by the yoke. - AI pack with enhanced airbases! Pacific Islands Simulation has revealed development of Nauru International Airport (ANYN) for FSX. Lionheart Creations is currently offering the Epic LT Dynasty and Epic Victory VLJ for only USD 12.00 each. John Patch has posted another preview teaser from the upcoming Vancouver+ Version 3 scenery for FSX. Robert S. Randazzo from Precision Manuals Development Group (PMDG) has announced at Aerosoft FSKonferenz that the Boeing 777 is nearing the beta phase of development. Also revealed was a remake of the Boeing 747 as Version 2.0. Alabeo has posted more livery previews from the upcoming Extra 300S for FSX on the Alabeo Facebook Page. JRollon has posted more preview renders from the upcoming British Aerospace Jetstream 31/32 for X-Plane 10. Taxi2Gate has posted more preview screenshots from the upcoming Lambert-St.Louis International Airport (KSTL) for FSX. SkyDemon VFR Flight Planner and Mobile MD have been updated to version 2.3.2. Details at the SkyDemon Website. The Airport Guys have posted more preview pictures from Myrtle Beach International Airport (KMYR) for FSX. Twentynine Palms has released Phenick Field for FSX and FS2004. More information at the Product Page. - the famous „fly-through barn" takes care of the adrenaline rush! - a program called "Phenick Field Manager" that allows you to match the scenerie's level of detail perfectly to your system's performance. - The package includes an installation program and a zip-file. feelThere has patched the recently released Boeing 737 Pilot in Command Evolution 2D Panel Upgrade for FS2004. Black Box Simulation has posted another preview render from the PSS Airbus Professional 'Remastered' for FSX. Blue Sky Scenery has released the freeware Mojave (KMHV), Tehachapi (KTSP) photo scenery for FSX and FS2004. Virtavia has announced development of the Douglas A-4F Skyhawk for FSX. More information at the Product Page. VertigoStudios has posted new preview screenshots from the upcoming Boeing Stearman 'Kaydet' PT-17 for FSX. Nyerges Design has released Real Color KMIA for Tower! 2011 from feelThere. More information at the Product Page. Baja Sim premium content unlock keys for ATC4Real ATC Simulator are now available to purchase at SimMarket. The recently released FranceVFR Rhone-Alpes PHOTO HD Vol.2 scenery for FSX is now also available at SimMarket. Seven-G has posted this short gun HUD video from the upcoming McDonnell Douglas F/A-18 Flight Simulator. Turbine Sound Studios has posted this sound preview from the upcoming Just Flight English Electric Lightning for FSX. Orbx has posted several Firstair Raceway preview pictures from the upcoming Monroe Firstair Field (W16) scenery for FSX. 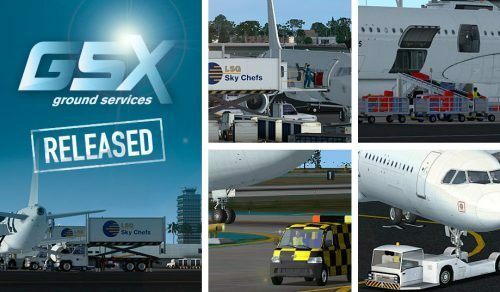 FSDreamTeam (FSDT) has released version 1.3 of Ground Services X for FSX. Available at the Product Page. - Separate audio chatter files for boarding/deboarding, with random variations. Flightbeam has posted more preview screenshots from the upcoming Phoenix Sky Harbor Intl. Airport (KPHX) for FSX. Flight Sim Labs has posted another teaser from the Airbus A320 for FSX to be presented at the Aerosoft FSKonferenz. DH-Aircraft has posted this Kuwait Airways livery preview from the de Havilland DH 106 Comet for X-Plane. Aerosoft has posted more development renders from the upcoming de Havilland DHC-6 Twin Otter Extended for FSX. Aerosoft has updated the PZL-104 Wilga for FSX to version 1.20 (now with skis). More information at the Product Page. Aerosoft is offering a 20% discount on select items during the Discover Bavaria Sale. Valid through March 26th 2012. Several night preview screenshots have been posted from the upcoming Mil Helicopters Mi-2 for X-Plane 9 & X-Plane 10. The freeware El Hierro Airport (GCHI) for X-Plane 9 & X-Plane 10 is now available to download at X-Plane.org. Just Flight has released the Aeroplane Heaven Douglas DC-6 - Legends of Flight Expansion Pack for FSX. Taburet has released Frankfurt Photorealistic for X-Plane 10. Now available to purchase at SimMarket. Golden Age Simulations has released the Ryan PT-22 Recruit for FSX. Now available to purchase at SimMarket. Turbine Sound Studios (TSS) has posted this preview video from the upcoming DC-10 GE-CF6 HD Sound Package. FlightGear has has updated the world scenery database to version 19886. Details at the FlightGear Website.